We stand on the shoulders of the early Church fathers, firmly grounded by the work they did in Christendom’s formative years. They left us fundamental confessions of faith, or creeds, to guide us through the centuries. Global Fire Church adheres to this creed as a doctrinal statement fully based in Scripture and centered on the Person of Jesus Christ. He is The Truth. All other truths, however, time-honored or treasured, must be subject to Him. Any belief held apart from The Truth is idolatry. We dance to worship the Lord. We dance to praise the Lord for joy and victory. (see I Samuel 18:6, II Samuel 6:14, Judges 11:34). We shout before the Lord in joy and gladness (Psalm 47:1, Psalm 5:11, Psalm 35:27). We lift our hands to bless the Lord (Psalm 134:2, I Timothy 2:8, Psalms 119:48, 63:4). Why do we leap? We leap to praise the Lord (Acts 3:8, St. Luke 6:23). To edify (build up in the faith), exhort or comfort (II Chronicles 20:14-17,21; I Corinthians 14:3,4). To interpret the message from God in an unknown language into the given language of the local congregation (I Corinthians 14:5, 13-25). As a local church, our confession of faith is a declaration of truths that hinge on The Truth. Like the Apostle’s Creed, it is an essential outline of the Gospel of Jesus Christ. (Deut. 6:4; 1 Tim. 1:17; Ps. 2:7; 1 Pet. 1:2; 1 Cor. 13:14). All Persons of the Triune God are Diety, equal in purpose, equal in power, equal in authority, and completely and totally unified. God the Father is the Master Architect of the plan of Creation.Jesus is the Chief Minister, the divine bridge between mankind and the Creator. The Holy Spirit is the Revealer of Truth and the divine “down payment” on salvation’s promise of eternal life. Article Two: We believe in Jesus Christ, who died on the Cross and arose on the third day. Jesus Christ was not created, but begotten (John 1:1,14; 3:16)—fully God (John 10:30; 17:5) and fully man (Matt. 8:20; 26:12,38; John 1:30; 4:6; 19:28; Heb. 2:18).Jesus was born of the Virgin Mary; His conception was not natural, but supernatural (Matt. 1:18-2:11). Jesus lived a sinless life (Heb. 4:15; 1 Pet. 2:22); therefore only His blood could redeem us. Without blood, there can be no remission of sin (Heb. 9:22).Jesus died a vicarious and atoning death for the sins of the world (John 11:50-52; Rom. 5:8-9; Titus 2:14; 1 Pet. 3:18; Matt. 20:28; Mark 10:45; 1 Cor. 6:20).Jesus was resurrected bodily for our justification (Rom. 14:9; 1 Cor. 15:4-8) and now reigns in glory until all things are put under His feet (1 Tim. 3:16). Article Three: We believe in justification by faith. We believe that justification is by grace through faith in our Lord’s sacrifice, burial, and resurrection (Rom. 3:21-24; 4:5; 5:1). Without justification, the souls of those who sin must surely die. This death is a spiritual death first and a natural death second. Through His death, Jesus Christ satisfied the requirements of a holy, just God. Jesus was our substitution; He took the punishment we deserved (John 1:29; 2 Cor. 5:21; Gal. 3:13).Jesus bore for us God’s righteous wrath against disobedience (sin). The experience caused Jesus to cry out, “My God, My God, why have You forsaken Me?” (Matt. 27:46). Article Four: We believe in sanctification. Restoration, Changes in lifestyle, An increasing reflection of the nature and character of Jesus Christ in us. The process of sanctification culminates in the resurrection of the physical body at the appearing of Christ. Article Five: We believe in the second coming of Christ. Our Lord’s second coming and future rule upon the earth are literal events. His return will set in motion the resurrection of the regenerate to eternal life and the unregenerate to eternal damnation, and the ultimate victory of the eternal Kingdom of God (1 Thess. 3:13; 4:15; 2 Thess. 1:6-7; 1 Tim. 6:14; 2 Tim. 4:8; 1 Pet. 4:13; Titus 2:13-14; Rev. 22:7; Rev. 20:4-7; John 5:29). Jesus Christ, who was raised from the dead, is still alive today (Rev. 1:18).Jesus Christ is seated at the right hand of God, interceding on our behalf (Rom. 8:34; Heb. 7:25). Article Six: We believe in the Holy Spirit. We believe that the Holy Spirit dwells in all believers, conforming them to the image of Jesus Christ (Rom. 8:9; 1 Cor. 3:16-17; 6:19; 12:13; John 16:8; John 16:12-14). The Holy Spirit sets us apart to fulfill God’s purpose for our lives (Acts. 13:4).The Holy Spirit seals our salvation (Rom. 8:23; 2 Cor. 1:21-22; Eph. 1:13-14; 4:30).Scripture describes the Holy Spirit as one called alongside to help provide comfort and counsel regarding the will and teachings of God (John 14:16; 16:7).We believe in the baptism of the Holy Spirit by which believers are empowered and equipped for service and given access to all His gifts. Article Seven: We believe in one holy Christian and apostolic Church (Rom. 12:5; 1 Cor. 10:17; 12:20; Col. 3:15). We believe the Church is imperfectly represented on earth by various institutions. Her unity is spiritual, her culture diverse and transitional, and her mission eternal. Though there are many Christian institutions, there is only one Church, one Body of Christ. 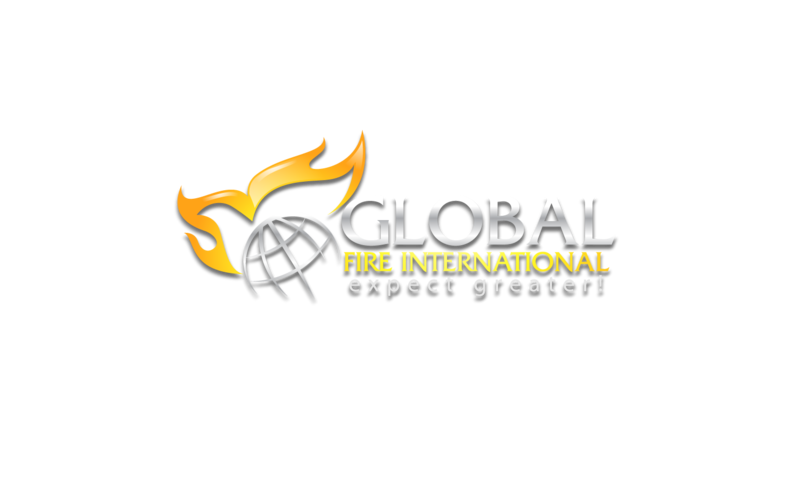 There is the Church universal (worldwide) and the local church (of which Global Fire Church is an example). The universal Church (the “catholic” Church mentioned in the Apostle’s Creed) was birthed by Jesus Christ. The universal Church is a spiritual organism whose life and activity are under the authority and control of Jesus Christ. Article Eight: We believe in the unity of the Church. This is the spiritual unity of all who are born of God (1 Cor. 12:12-14; Col. 3:11). We uphold the individuality of the local church and regard highly our larger relationship with the Church universal. We value the confession of Christ by His people everywhere and reject any separation inspired by denominational differences. We respect and honor cultural ways of worshiping the Lord that differ from our own. We don’t major on the minors; we major on unity. We choose to build bridges, not walls. Article Nine: We believe in the forgiveness of sin, the resurrection of the body, and life everlasting (Acts 5:31; Matt. 22:30-32; John 12:50). Article Ten: We believe in the divine inspiration and inerrancy of the Holy Scriptures (2 Tim. 3:15). The Holy Scriptures were recorded by the servants of God under the inspiration of the Holy Spirit. As the inspired Word of God, Scripture is wholly reliable and without error. The Church has no authority to establish doctrine or practice that is contrary to the Scriptures accepted as Canon by the early Church. All that we believe is based on the entirety of the Scriptures and the absolute truths contained therein.The Holy Scripture is our highest authority for establishing doctrine and for reproving, instructing, convicting of sin, correcting error, and training in righteousness. We affirm the value and dignity of human nature. Man and woman, the crown of Creation, were made in the image and likeness of God; therefore the complete likeness of God cannot be known in the absence of the full, divinely-established expression of male and female (Gen. 1:26-27). Because of The Fall of Man (Gen. 3), man became spiritually depraved, alienated from the Creator, and unable to attain to his high calling (Ps. 8; Eph. 2: 8-9). Created in the image of God, man is a triune being having a spirit, soul, and body (1Thess. 5:23; Heb. 4:12). Man and woman were created, not evolved (Gen. 1:26-28). We believe in the sanctity of marriage as the union between one man and one woman (Gen. 1:28). Marriage was instituted by God between a man and a woman. It was so designed for the furtherance of the human race through procreation, to reflect the full image and likeness of God, and to meet the needs of marital partners for companionship and fulfillment—spiritually, emotionally, and physically. We believe in the priesthood of the believer (1 Pet. 2:5). We believe in the priesthood of the believer. That is to say, all people born of God have equal status in His eyes and direct access to Him. Relationship with God requires no human mediator; Jesus is the only mediator between God and man (1 Tim. 2:5; Heb. 8:6). We are all called as priests to minister to those who don’t have a relationship with the Lord (Mark 16:15-18) and to fellow believers (1 Thess. 5:11). We believe in the local church (Heb. 10:25). We believe that the identity of the Body of Christ on the earth is primarily perceived through the local church. While we encourage the voluntary association of local churches and recognize the need for consensus on matters of fundamental doctrine and conduct, we strongly confess the local church to be sovereign and autonomous (Rev. 2-3). This autonomy exists within the context of trans-local authority and the interdependence of those who share like precious faith. Everyone who professes a relationship with Jesus Christ should be involved in a local community of believers. The local church should represent Jesus Christ to the community. The local church is a place of accountability and covering. We believe in the equipping of the saints for the work of the ministry (Eph. 4:12). We believe in the fivefold ministry callings and profess that the offices of the apostle, prophet, evangelist, pastor, and teacher continue to operate within the Body of Christ today. These ministries are gifts to the Church for the purpose of equipping the saints for the work of the ministry, so that the Body of Christ might be edified (Eph. 4:11-16). We need to exercise balance and sensitivity in allowing the gifts of the Holy Spirit to operate (1 Cor. 12).In a church service, the gifts of the Holy Spirit are to be manifested decently and in order under the leading of the ministry oversight (1 Cor. 14:40). We believe in baptism (Luke 3:21; Acts 2:38). We believe that subsequent to conversion, God’s people are to be “buried” with the Lord Jesus Christ in the waters of baptism (Matt. 28:19; Rom. 6:4). Water baptism is an outward expression of an inward work. It is something you choose to do, not to become born again, but because you are born again. Water baptism is an action that signifies the burial of old ways and mindsets.Jesus was baptized (Matt. 3:13-17) and commanded His disciples to water baptize others (Matt. 28:16).The church in the Book of Acts was baptized (Acts 2:38,41; 10:47-48).The choice to be baptized is made by those who are mature enough to understand its significance.